Using the cruising guide on an Ipad or Android Tablet. The easiest way to use the cruising guide on a tablet is to buy a Windows 10 tablet. Any of them would work but you probably want to get a tablet that has a GPS included. Fortunately most of them that have SIM capability also have a GPS - but it's a well kept secret. I found a Windows tablet with GPS for only US$208 on Amazon; the Lenovo Miix 2 8". Search on Google for other Windows tablets with a GPS. You don't need to be connected to the Internet and it is simple to set up. Once you have it running you can operate ANY program on your notebook from the tablet; our cruising guides, a plotter, even your depth sounder if you have that networked with your notebook. 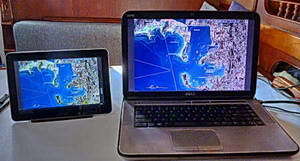 Install Connectify on the computer with the cruising and tourism guides. Just follow the easy and clear installation instructions. Connectify is a small program that makes your Windows PC into a WiFi access point so you can connect other computers, your tablet or phone to your PC. You don't have to be on the Internet to run Connectify or Splashtop. Which is good since you will be wanting to use it in remote locations. After installation, enter a name for your hotspot and a password. 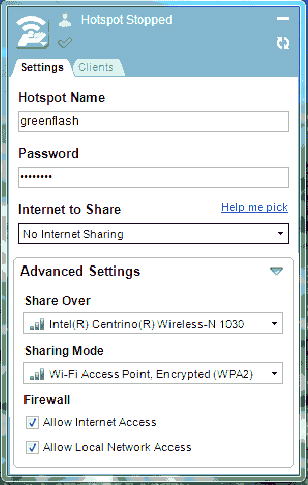 If you don't want to have Internet while using splashtop click on the down arrow in the Internet to Share box and select No Internet Sharing. Right, that's all, it's working. Next install Splashtop Streamer on your notebook. 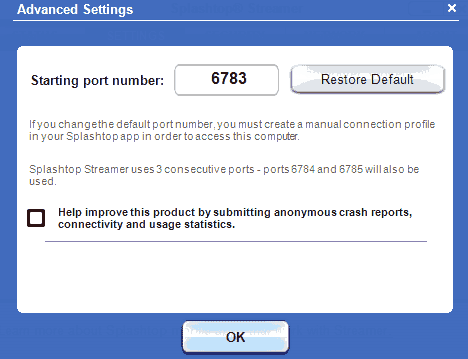 Click on SETTINGS and then Advanced Settings and uncheck the box that says "Help improve this product" - if you don't Splashtop will try to connect to the splashtop server online and if you don't have Internet access it shows an error and can cut the connection to your tablet. 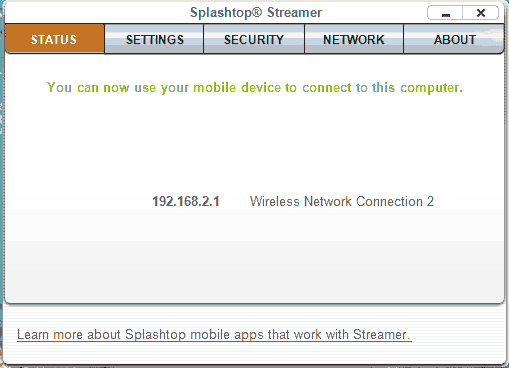 Installation of Splashtop is a painless process with either Google Play or Itunes. Once the download and installation is complete, click on the icon to start it up. Look for the PC computer's name, click on it and enter the password. The tablet connects to the notebook and takes over control of it. Done. Pay attention to the "hints" on how to click and move around on the tablet. You can toggle between mouse or touch screen modes. In the mouse mode you have left and right buttons on the bottom of the screen and you touch the cursor to move it to whatever you want to click on or drag. I prefer to leave it the default touch screen mode where you just point and gently touch the screen to open a button, touch harder to click on it, touch and drag to move something around. First - Splashtop on the tablet needs to connect to a WiFi Access point - NOT an adhoc connection. Second - Connectify will create a virtual WiFi Access point. Connectify also lets you transfer files back and forth between the computer and the tablet and this works much better if you pay for the Pro version. If you have any problems with connectivity (every computer and tablet has it's own hassles) you should get the pro version of Connectify and contact their excellent support team.